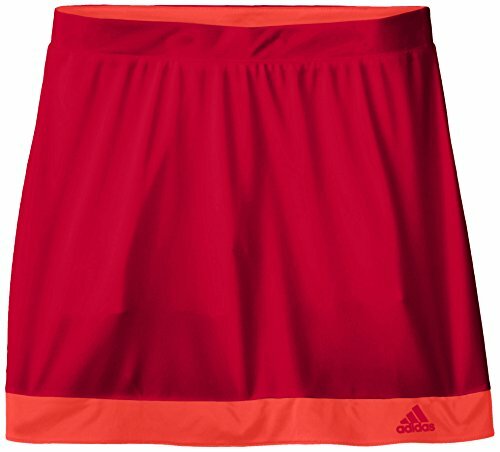 Battle for every point in this Junior girls' tennis Skort. Built with Climalite fabric to wick away sweat from the first shot to the last, it features built-in tight shorts and an exposed contrast waistband. 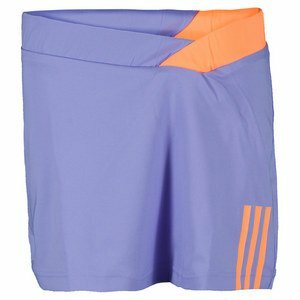 This Junior girls' tennis Skort manages heat set after set with ventilated Climacool to keep the air circulating. 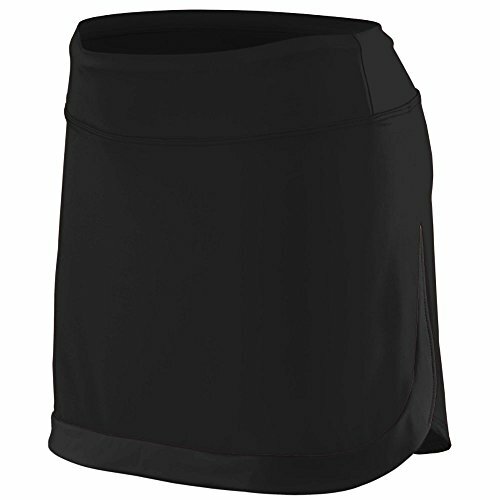 The perforated skirt fabric enhances breathability and the built-in-tights provide coverage. 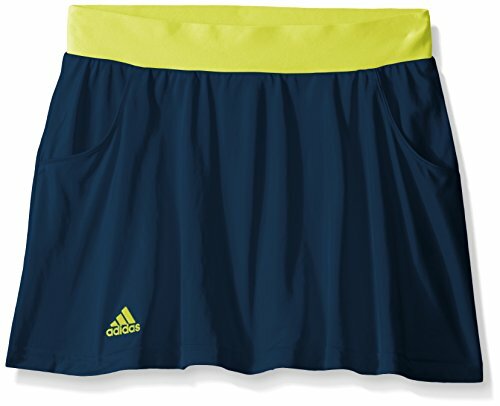 This Adidas Court Skirt is ready for match play any day It features a contrast elastic waistband, builtin compression short, contrast trim at bottom hem, Climalite moisture management, and a printed Adidas logo at right hem. Contrast color ruching along the bottom hem; Built-in tights. 82% polyester | 18% elastane single jersey. 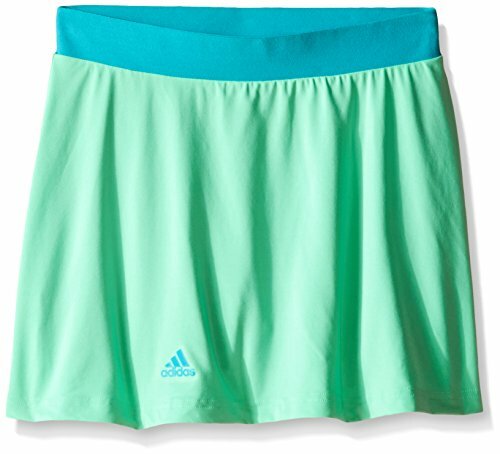 Go for a sporty look with this athletic adidas Response Skort. 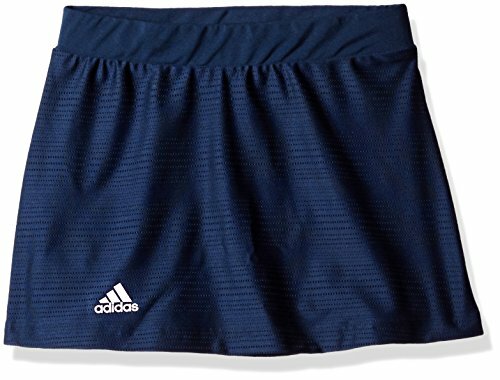 It features a contrast elastic waistband, built-in short, front and back pleats, applied 3-Stripes on sides, and a heat transfer adidas logo on left hem. 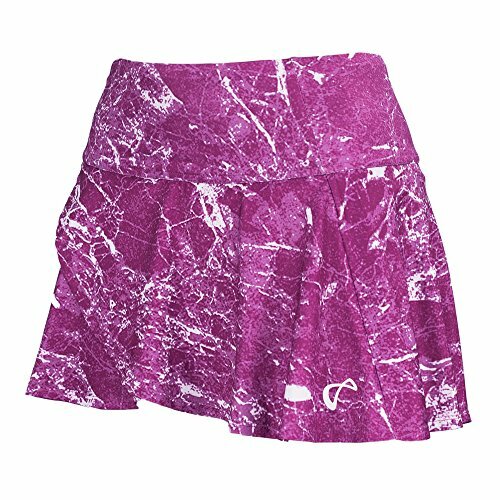 This fun and flirty skort is the perfect match for your little court-start. This piece is an essential for the tennis star-in-the-making. Sleek stretch jersey, 85% polyester/15 % spandex. Rhinestone F box logo. Ruffle at back at skirt. 11 1/4" center back length. 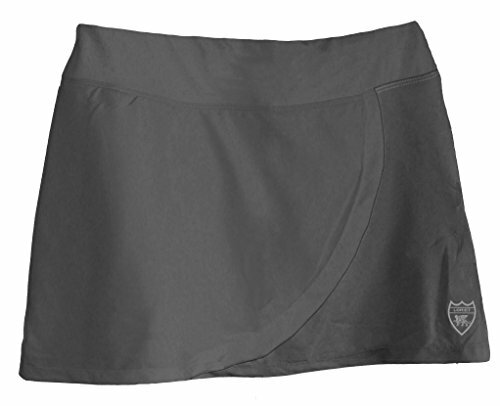 A Kicky Tennis Skort Crafted With Soft, Lightweight Climalite Fabric For Superior Moisture Management, Keeping Players Dry And Comfortable. Built-In Tights With Ball Pockets, Elastic Waistband With A Striped Detail, And A Slightly Flared Bottom Hem. Who says you can't have skills and style not us. We think the best players have a combination of both. 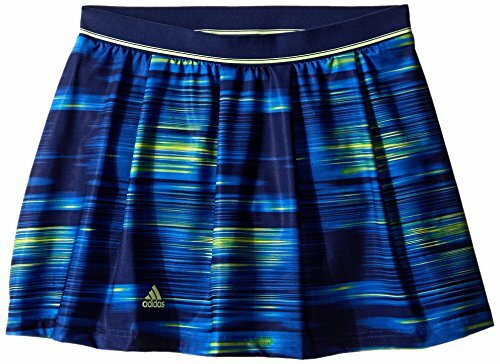 And this Girls' tennis Skort is the perfect way to show them off. With high-performing Climalite fabric and a fun print, your Junior player gets the best of both worlds. 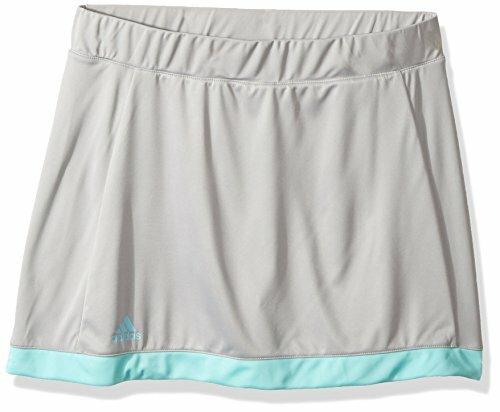 The Rome Performance Skort offers our unique spin on a classic tulip skirt with a contour waistband and slight A-line cut for more mobility and tennis appeal. 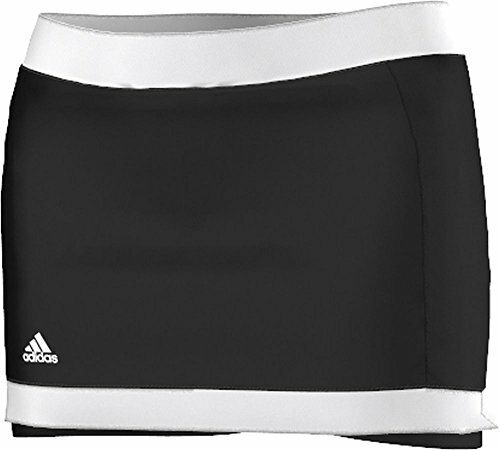 Includes attached undershorts with no-slip band to keep them in place while exercising. 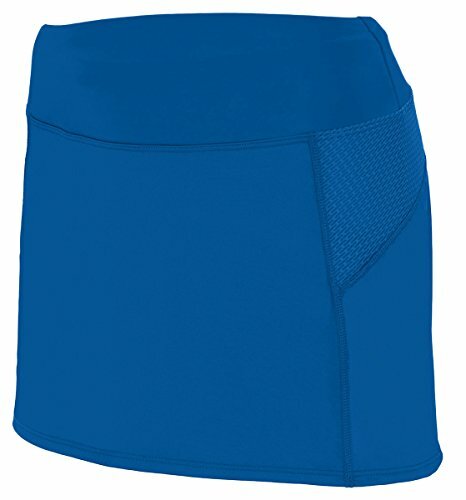 High-quality performance fabric makes this skort both durable and fashionable. 90% Polyester 10% Spandex - UV Protection, Anti-Microbial, Wicking. Founded in 2004, Loriet unites traditional and contemporary tennis fashions by using advanced fabric technology. Loriet's Active Cool products are unparalleled in quality, comfort and performance. Loriet's fabric technology provides product versatility making Loriet ideal for a wide array of activities such as tennis, golf, sailing, yoga and running. All Loriet performance products are tested by professional athletes and worn through-out the year by professional tennis players competing at the highest levels, including all 4 Grand Slam tournaments, Davis Cup, Fed Cup, as well as ATP and WTA tournaments. Learn more about Loriet at Loriet.com. WEAR THE LION! Size/Age: XS/4-6 y.o. ; S/6-8 y.o. ; M/8-9 y.o. ; L/9-11 y.o. A popular item brought from the Women's range into girl's: a fresh take on a traditional tennis skirt silhouette with soft, lightweight Climalite fabric for superior moisture management, keeping players dry and comfortable executed with eye catching contrast color blocking on hem. This versatile skort works well with and complements nearly any outfit. 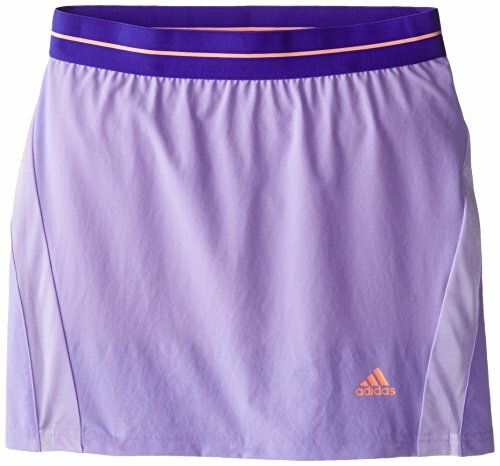 This piece is an essential for the female tennis star-in-the-making. Sleek stretch jersey, 85% polyester/15 % spandex. Rhinestone F box logo. Pleats at sides and back. 11 1/4" center back length. it provides style and comfort. 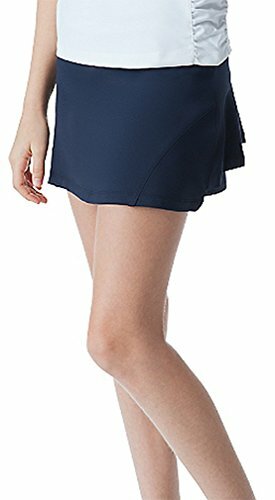 A perfect performance skort for the tennis court. Helix technology allows you to maintain your highest performance. 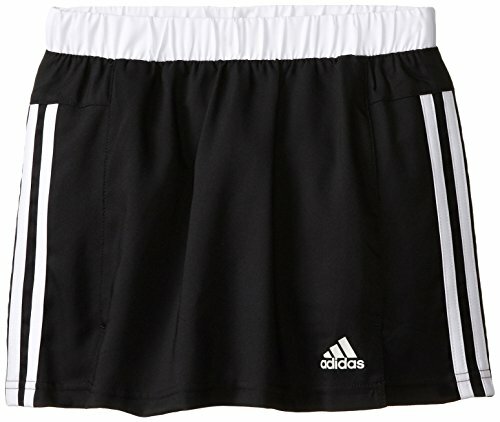 Ultra-lightweight built-in under short. 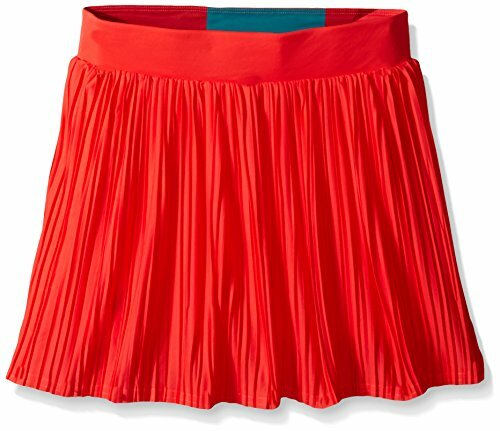 A traditionally cut girl's tennis Skort with contrast color pops for visual interest. 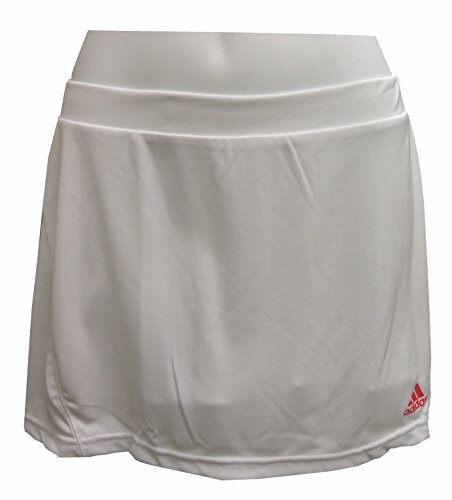 Soft, lightweight stretch woven Climalite fabric for superior moisture management, keeping players dry and comfortable.